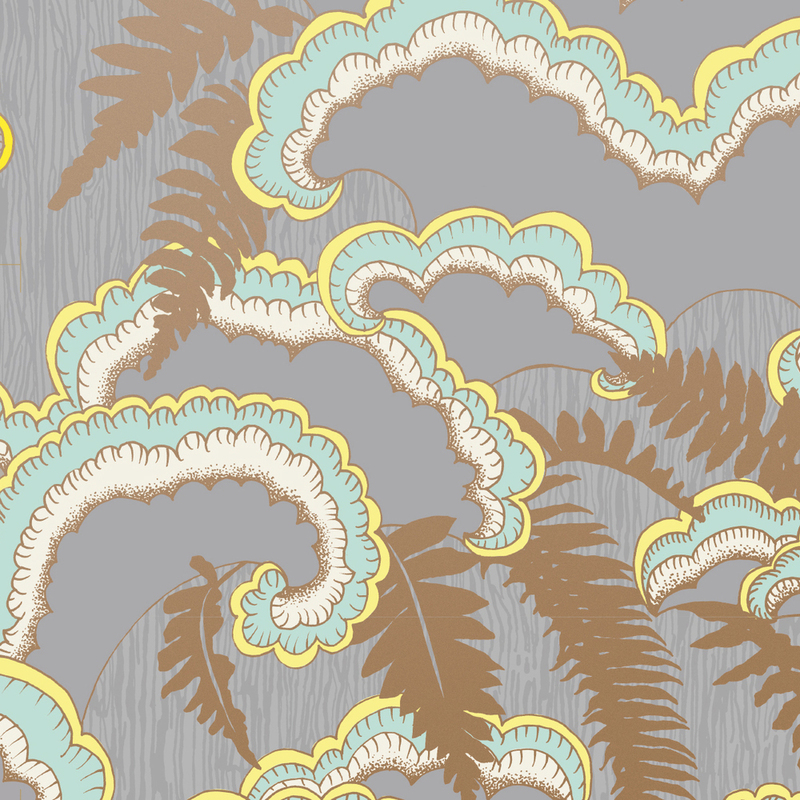 This five-color (including metallic gold) wallpaper is hand-screenprinted using water-based inks on recyclable paper. This paper is also available in two additional colorways. Find out more about getting a custom colorway made by emailing our studio directly.